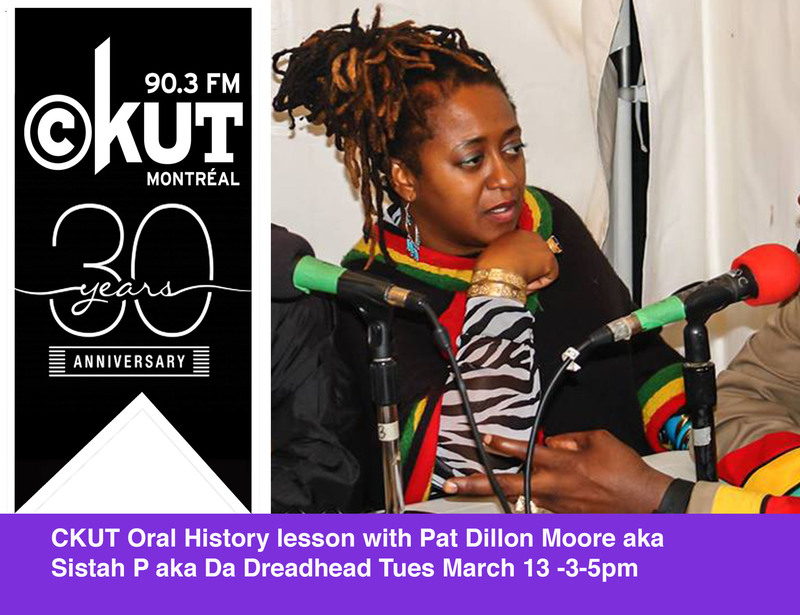 March 6th will kick off the month with an interview with Joan La Barbara, a great clip of who’s staying up at night with Roots Rock Reggae, a Sun Ra interview, a history of Margo Lane, bits of Rickey D’s fascinating oral history, and a spicy clip from Off The Hook which we had to shelve for a few years because it was too hot to re-air originally. Missed D'bi.Young? No worries, listen here! TONIGHT! CKUT presents Invisible Waves: 2 stages, 5 bands, 25 years! You can still donate! 25 YEARS STRONG - CKUT's Annual Funding Drive! Get involved! 11th ANNUAL HOMELESSNESS MARATHON STEERING COMMITTEE! Thursdays (A)live! The beginning of CKUT's 25th anniversary celebrations!